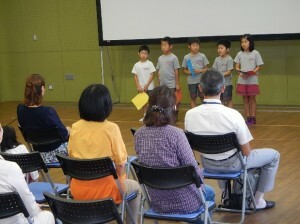 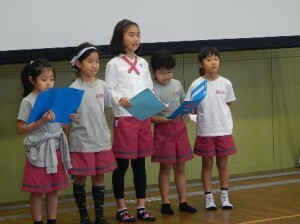 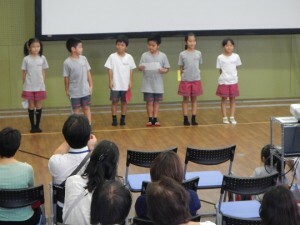 The children of 3A had a presentation “Our School Events” on Thursday, October 16. 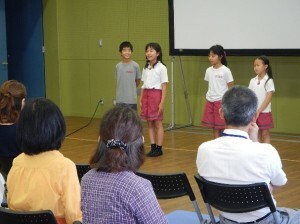 Prior discussion, interviews, preparation, and the actual presentation on the day were accomplished almost all by themselves. 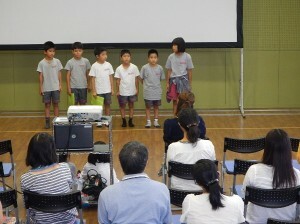 Even though they were very nervous about making a presentation in front of the audience, they managed to make it through splendidly. 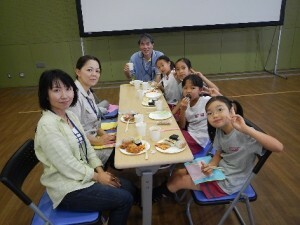 After the presentation, they had a potluck party with their parents which became a reward for the children for their hard work.